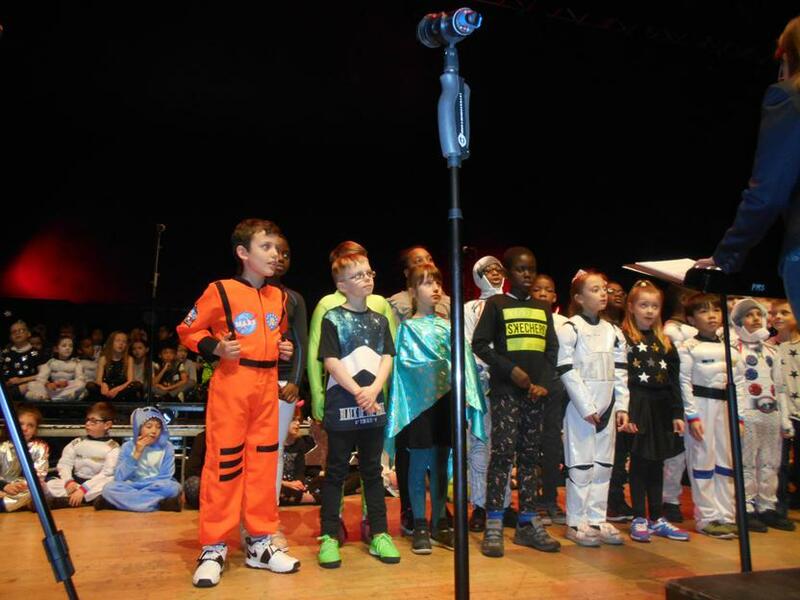 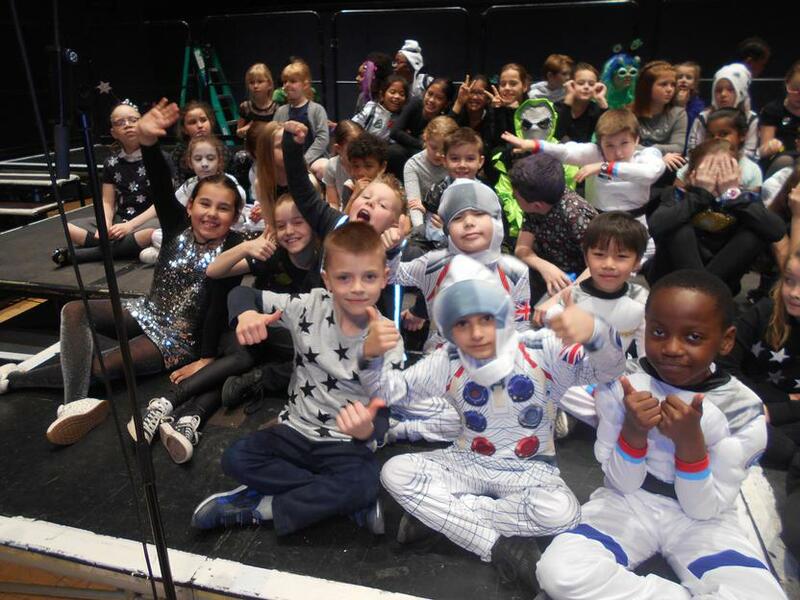 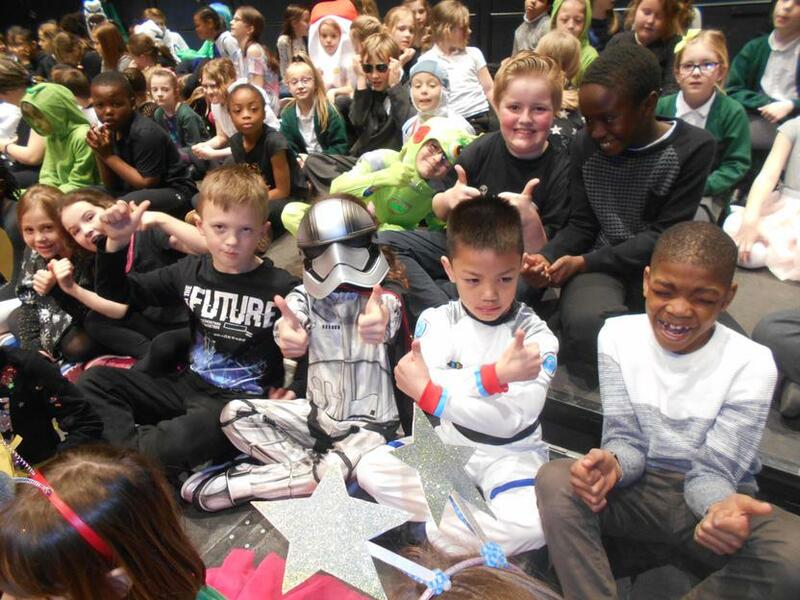 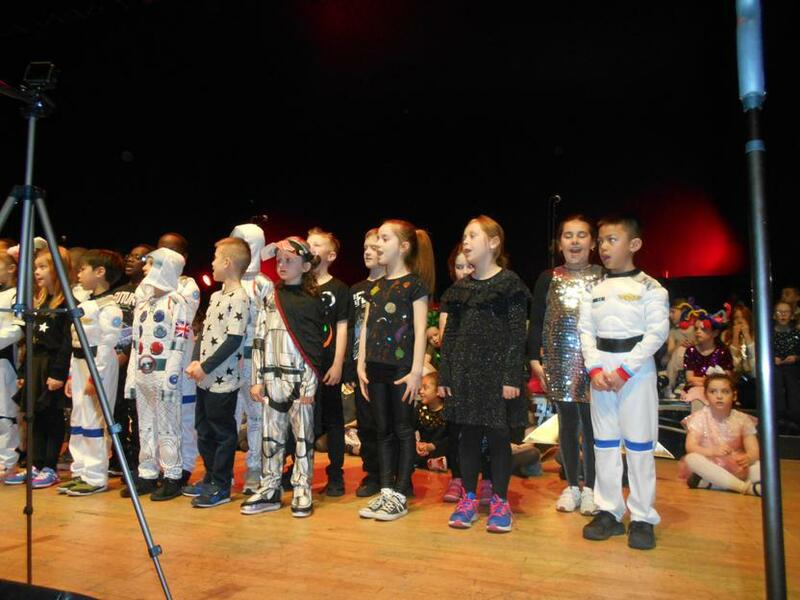 The children from Year 3 have been practising hard for their Space themed concert at the Portsmouth Guildhall. 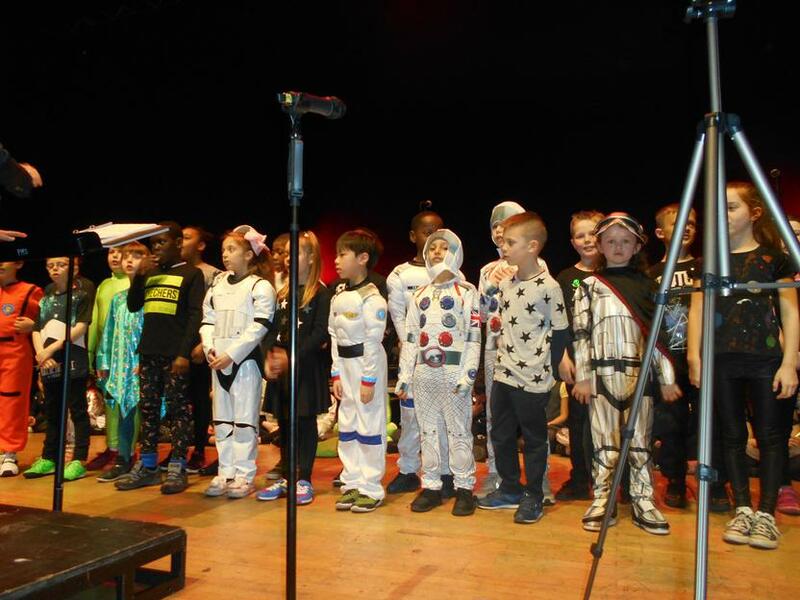 All the songs were written by members of the Portsmouth Music Hub. 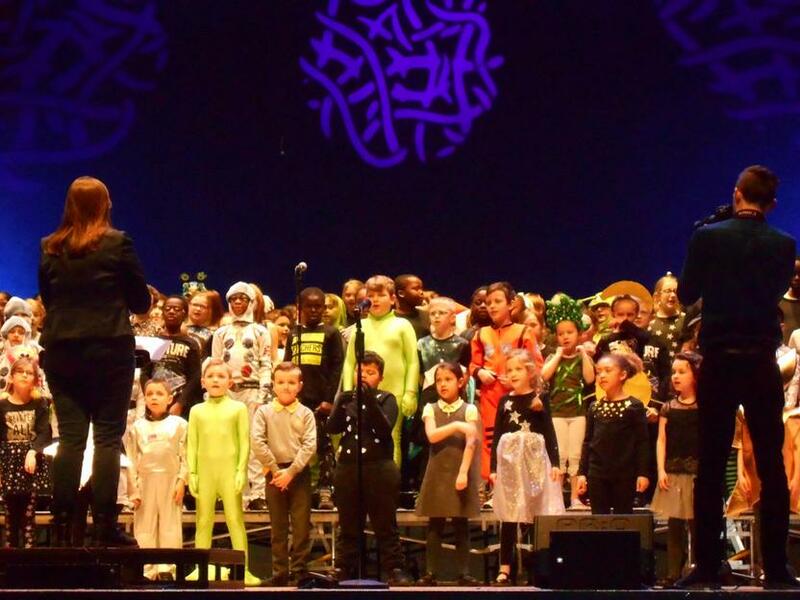 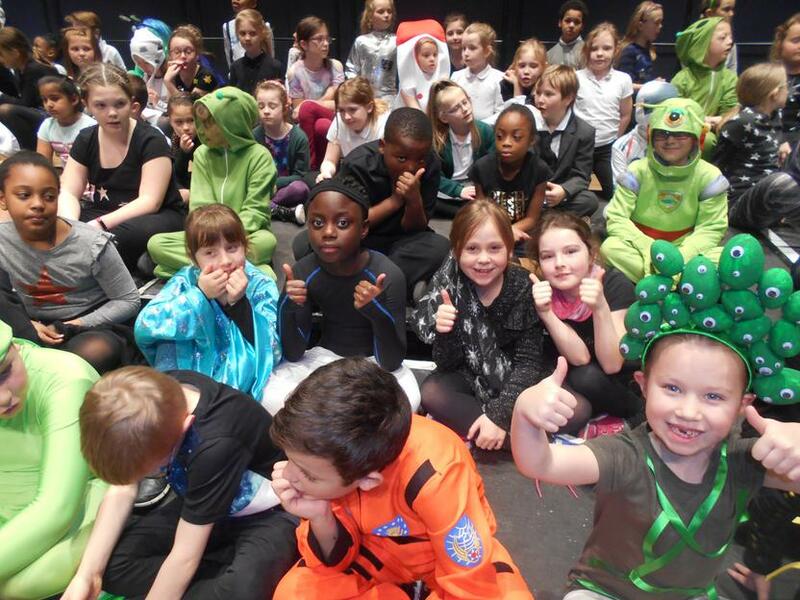 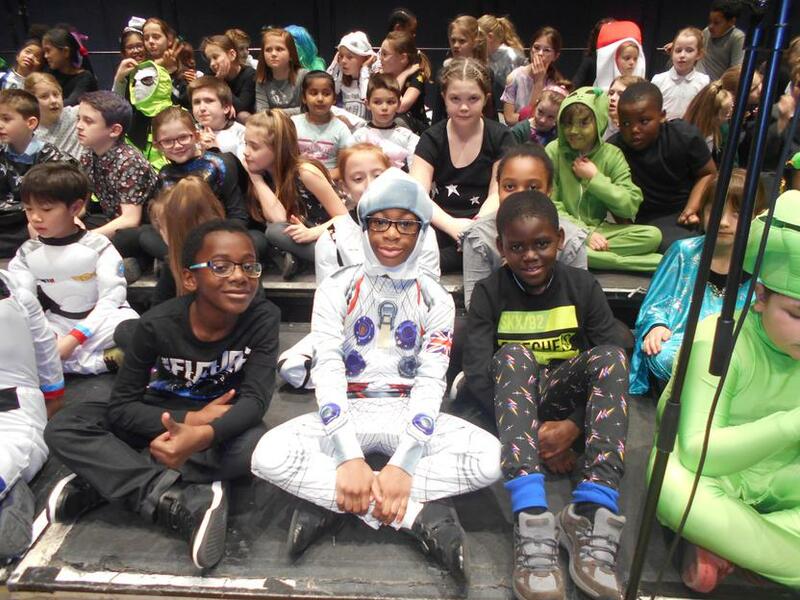 It was an exciting evening on Monday 26th March as the children took to the stage in their weird and wonderful space costumes. 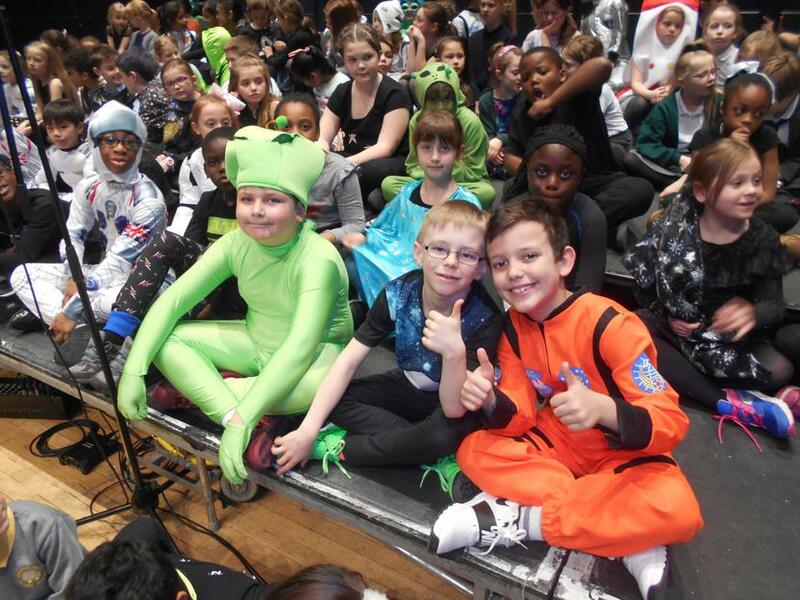 There was everything from aliens to space commanders! 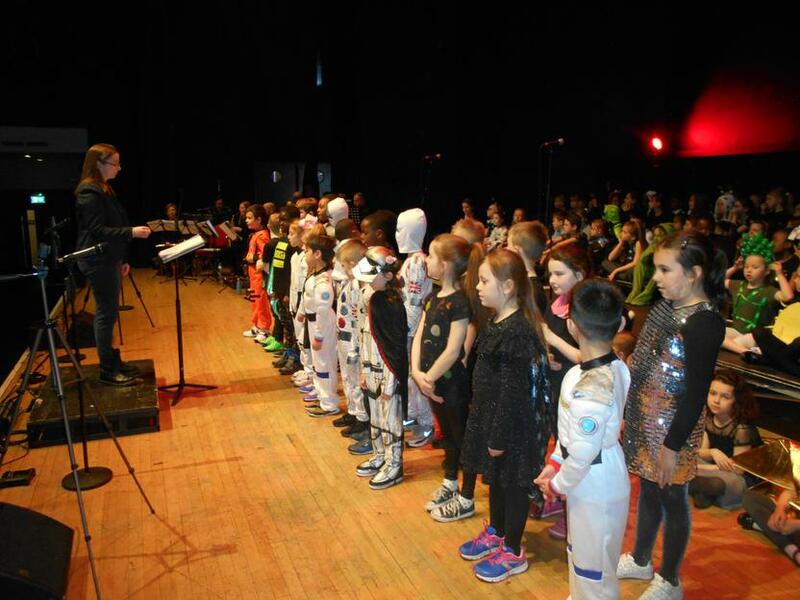 Families and teachers enjoyed a fabulous concert with our children singing a solo in the second half.